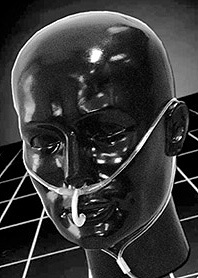 Oral and Nasal sampling are now available simultaneously! By sampling orally and nasally the Salter Oral-Trac® provides more accurate ETCO2 readings during spontaneous nose or mouth breathing. The Salter Oral-Trac® offers additional oral sampling through a unique sampling "trunk". The trunk is malleable and can be adjusted to fit each patient. The trunk is non ferrous allowing the Oral-Trac® to be used in the MRI suite. Gas Sampling cannulas are utilized to monitor ETCO2 in non-intubated patients. Other sampling cannulas are NOT divided. When supplemental oxygen is delivered End Tidal gases are diluted and wave forms are distorted. 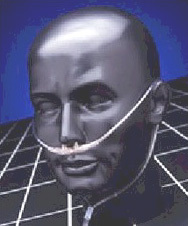 In the Salter Cannula, a permanent barrier is placed in between the nasal prongs. One prong delivers oxygen and the other prong samples end tidal gases. With the Salter sampling cannula the End Tidal Wave Form monitoring quality is equal that obtained with intubated patients. An Anesthesia Circuit Oxygen Adapter is packaged with each cannula to allow easy connection to the anesthesia circuit "Y" fitting or any other large bore oxygen source.